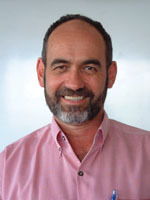 Richard K. Coll is associate professor of science education at the University of Waikato, New Zealand. Richard holds a PhD in chemistry from Canterbury University and an EdD in science education from Curtin University of Technology. His research interests are concerned with mental models of science concepts, and a variety of aspects of work-integrated learning.